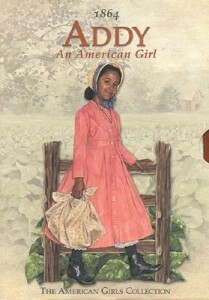 Written in dialect, an African-American girl’s journey from slavery to freedom unfolds in this series of historical fiction children’s books. No doubt I am the least qualified to review this from a cultural sensitivity point of view, as I’m not African-American. Yet from a literary viewpoint, I think that the author has done a great job of bringing an era of history alive. I read two of the books in the series, and felt informed as well as interested in the outcome. In each book, there is an appendix that has historical information to support its contents. The research appears to be quite thorough especially regarding the dialect and customs presented. I particularly like that the children’s books I read have a real-life drama in it, that is compelling and important to know about – the separation of families during their escapes to freedom. I was not familiar with just how hard it was for families to not only stay together, but also to find each other once they left the south. I think it is essential for children to read about our history from children’s books like these, where the events become associated with human names and faces. I highly recommend the series for any classroom or home school situation.